James McAllister Online - Page 51 of 51 - Your friend in business, and in life! Avoid These 5 Common Mistakes When Buying Your Domain Name! 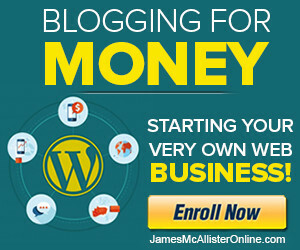 Note: The domain name for this website has been changed since this article has been published, from “HelpStartMySite.com” to “JamesMcAllisterOnline.com”. I left the original name in to help demonstrate the main points of this article.